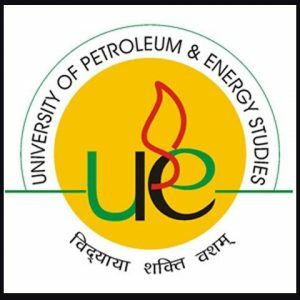 UPES Management Entrance Test is conducted every year by University of petroleum and energy studies, Dehradun. This exam is conducted to provide admission in engineering, management, design and law courses. At various examination centres, this examination is conducted multiple times a year. Through the scores of MAT, CMAT, XAT, CAT, NMAT by GMAC and GMAT candidate can also get admission. In this article, you will find all the information related to UPES Management Entrance Test 2019 such as eligibility criteria, syllabus, application form, results etc. Candidates who are willing to apply for the examination should do it before the last date.. Final date to apply for the examination of UPESMET 2019 is 5th March 2019 and the exam will be conducted on 11th March 2019. UPESMET 2 candidates should apply before 24th April and the exam will be conducted on 26th April 2019.
should pass 10+2 with a minimum of 50% aggregate. Should be a graduate with at least 50% in any subject from the government recognized University. should possess a minimum of 75 percentile for MAT/CMAT and 70 for CAT/XAT candidates. Candidates who are in the final year are also eligible to apply. In this section, candidate will get the information about the syllabus of UPESMET 2019. The knowledge of the candidate in the examination is calculated based on General English, Aptitude, General awareness and Analytical reasoning skills of the candidate. Candidate should read the information carefully before applying. Application form is available on the official website. Candidate can apply for the exam in the online mode as well as in offline mode. Candidate should access the application form that is available on the official website. Candidate should download the application form that is available in online mode. Should fill all the relevant information that is mentioned in the application form. Should pay the application fee through DD in favour of “UPES Fee Account” which is payable at New Delhi. Should send the application form along with DD to the following address. After the successful registration of entrance exam, UPESMET March 2019 admit card will be released by the exam conducting body. Candidate should check whether the information mentioned on admit card is correct or not. The admit card contains all the basic information such as candidate roll no, venue, date, exam time etc. Admit card is an important document to write the examination of UPESMET March 2019. Results will be declared multiple times as the exam is conducted multiple times over a period of 4months. Candidate will be able to download the scorecard from the official website. Candidates who are applying through some other scores will also be called for GD and PI.